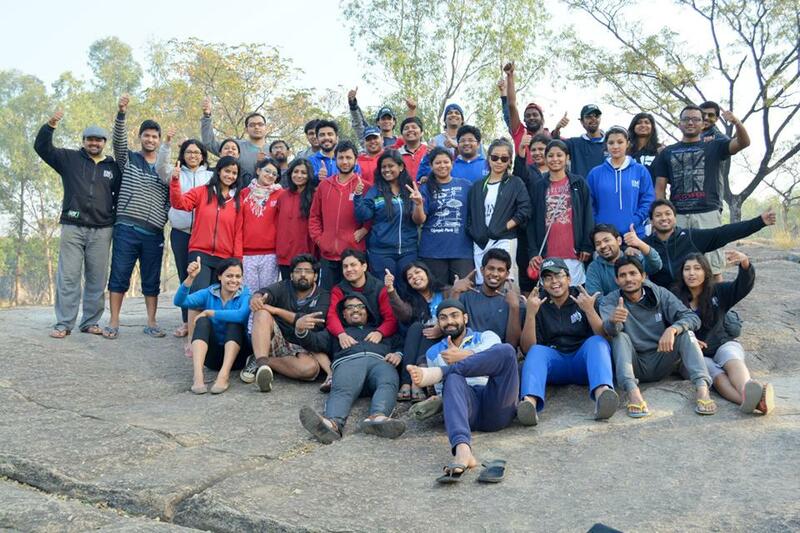 The Senior PGDHRM as well as PGDM (2013-2015 Batch) students at IIM Ranchi got an opportunity to learn leadership by experience as a part of their leadership outbound programme, organized by Tata Steel Adventure Foundation (TSAF), at Jamshedpur. At the fag-end of their MBA journey, this outbound programme was one key experiential learning that the students were keenly looking forward to. The Leadership course facilitator, Prof. Gaurav Marathe, acted as mentor to all the students on the outing. The batch of students was divided into 6 groups with 7 members each. For every activity, one student was chosen as a leader by the group. This way, all the students got an opportunity to lead their groups once. 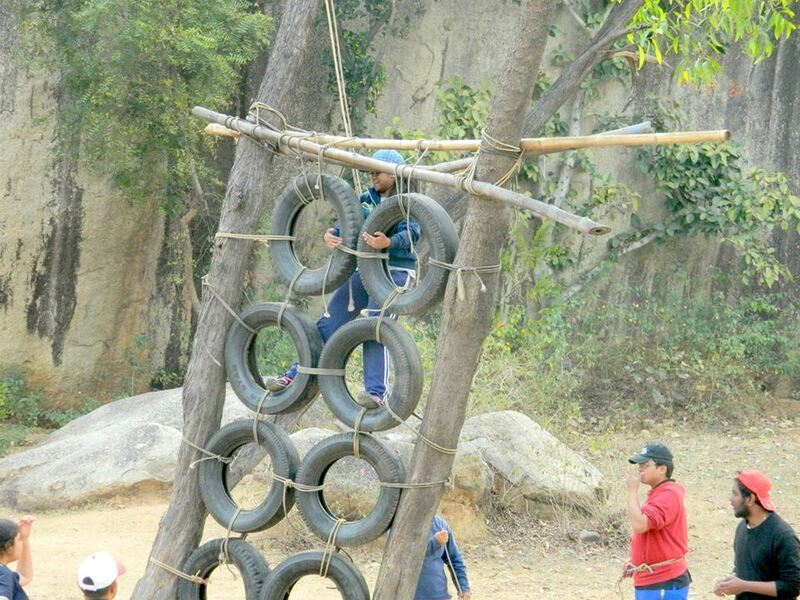 The programme was a three day, intensive programme in which the students participated in a plethora of team activities and challenged themselves physically as well as mentally. 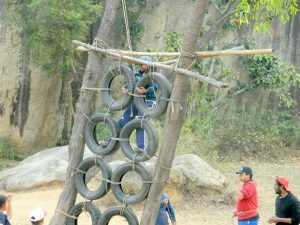 Day 1 of the outbound programme was characterized by events such as obstacle race which was a combination of back to back hurdles that included jumping through tyres, crawling through barbed wire, trolley race and monkey crossing activities. The Flying Fox activity, served as an inspiring aerial adventure for the students, wherein they got a chance to demonstrate their balancing skills on controlled descent, while being suspended through a slanted wire. Day 1 activities were enormously challenging and fatigue did show on the students. However, with Day 2, students were all geared up for the challenge that was ahead of them. 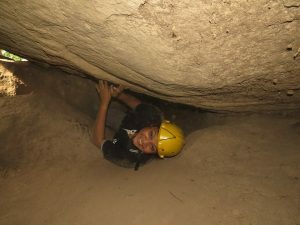 Day 2 featured some hard-core adventure activities which included rock-climbing, caving as well as rappelling activities. All these physically intense as well as mentally taxing activities tested the physical fitness levels of the students as well as their concentration levels. The groups were competing all this while when they were participating in different activities. Day 3 saw the shift in base of the student camp as they progressed towards the Dimna Lake for some water sports activities. 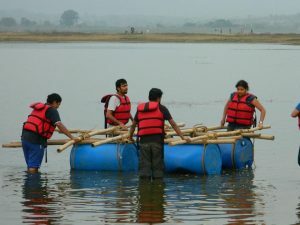 The day saw students learning the basics of rafting and eventually managing to create their own rafts using merely 8 bamboos and 4 drums, along with ropes. Designing a raft which could stay afloat required some great collaboration among the members of each group. 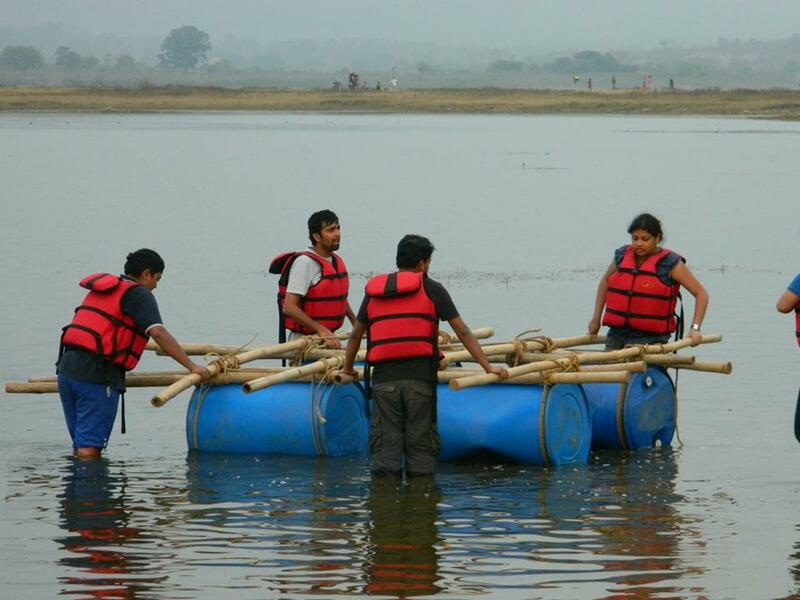 However, each group managed to create their rafts and raced from one shore to another, on those rafts. The group which accomplished the entire activity within the least possible time, prevailed over the rest of the groups eventually. In the midst of all this experiential learning, how could some theoretical learning stay behind ? 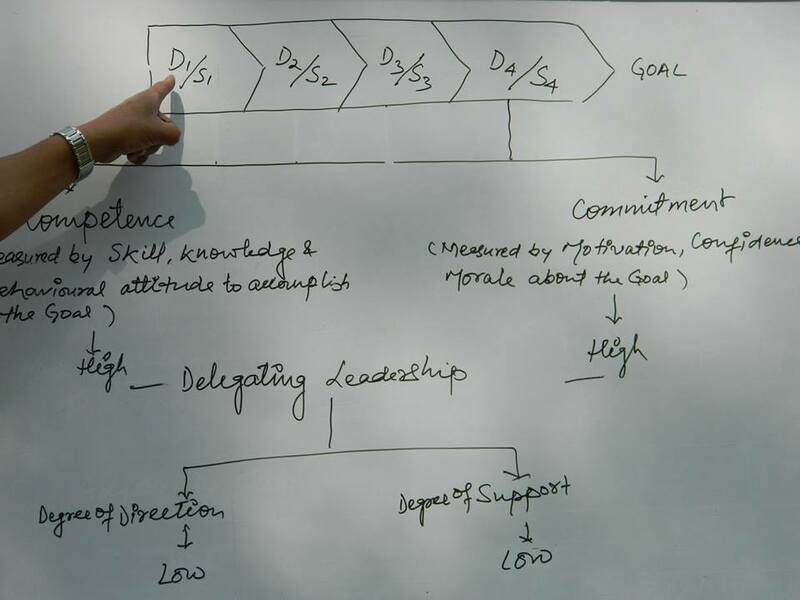 The students did learn the theoretical aspects of leadership during the outbound programme as well. Their facilitator, Prof. Gaurav, did a great job in making students go that extra mile in finishing all the group activities with their full energy and commitment.The programme emerged as a well-chalked out programme to make students learn and practically demonstrate their leadership skills on the field.